The Master of Science in Chemical Engineering at DU is a two‐year thesis based program. The department offers Master of Science Program in Chemical Engineering with varying specialization based on conducted field of research work ranging from Nano technologies, Solar materials, Engineering Biology, NG liquefaction/regasification/separation and mathematical modeling and simulation of chemical process industries. The courses are designed to impart advanced knowledge of chemical engineering and to prepare the graduates for careers in industry all the while gaining multidisciplinary skills, commercial awareness and risk managements skills. After going through the Master program the graduates will gain a clear and wide-ranging view of technologies that are currently applied in chemical engineering industries, and the ways in which these technologies can be improved for embracing sustainability, safety and environmental concern. To provide chemical engineers students with a strong technical education, as well as equipping them with principles of chemical engineering concepts. This will allow them to have successful careers in a wide range of industrial and professional environments. prepare the students for rapidly changing technological environment with core chemical engineering knowledge central to multidisciplinary development throughout their professional careers. To strengthen the capacity of involved students to diagnose chemical engineering problems efficiently and to achieve the optimum desired results with respect to timeframe, cost and methodology. To inculcate in students engineering knowledge to critically evaluate relevant literature and new technologies or systems. To prepares graduates that can deliver effective presentation of engineering results in written and oral formats and be effective leaders capable of working in diverse environments. To instill in chemical engineering students a strong sense of humanistic values so that they can conduct ethically and knowledgeably regarding societal issues and technological impact. To find the chemical engineering challenges in the Sultanate and effectively tackle them both as individuals and in team environments. The ability to apply mathematics, science and engineering principles. The ability to design and conduct experiments, analyze and interpret data. The ability to identify, formulate and solve chemical engineering problems. The ability to function as individuals or multidisciplinary teams for specified problems. The ability to meet desired specification with safety and environmental concerns. An appreciation of contemporary issues relevant to chemical engineering. The understanding of professional and ethical responsibility. The appreciation for the need an ability to engage in life-long learning. The ability to use learned techniques, skills and modern engineering tools in CHE for engineering practice. A Bachelor degree in Chemical engineering discipline from a reputed University. 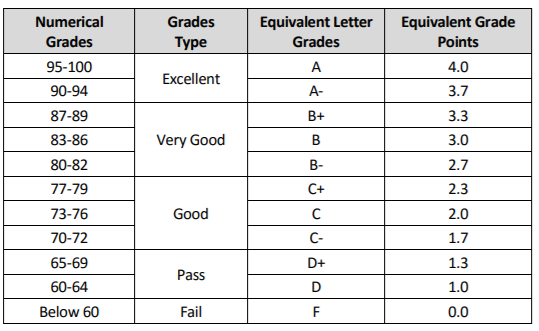 minimum Cumulative Grade Point Average (CGPA) that is equivalent to ‘Good (2.5/4)’ grade. A minimum IELTS score of 5.5, or a TOEFL score of 500. A minimum of 2 years engineering experience is highly recommended. The Graduate Studies Committee may recommend to the Dean that no more than 6 credit hours of corresponding courses be included provided that the student’s grade therein is not less than Very Good or (C). Such grades shall not count in the student’s new CGPA. The student has not been expelled from the university he/she is transferring from. One semester for each 6-9 hours shall be subtracted from the time limit for obtaining the degree. The time limit set for the student to obtain the Master’s degree shall be no less than four semesters and not more than eight semesters. The student may postpone or withdraw his/her study up to two academic semesters thus making the maximum time limit 8 semesters. The maximum time limit, however, in certain justified cases, and for the purposes of defending the thesis, may be extended up to only one semester, upon a recommendation from the supervisor, and after the approval of the College Council and the University Council of DU. The minimum course load for a full-time student is normally 9 credits, except when the student is registered for a thesis. The normal course load for a part-time postgraduate student is 6 credits, with 3 credits as the allowable minimum. The student is allowed to withdraw from one course or 3 credits from the second to the tenth week of any semester in accordance with the withdrawal Policy of DU, and a grade of (W) shall be recorded in the student’s transcript. In no circumstances a student could withdraw for more than 3 credits in a semester. If he/she fails to obtain a CGPA of 65% at the end of any semester. If the supervisor sees that the student has neglected his Master’s thesis. If the student’s CGPA falls below 65%, the Committee shall send him/her a warning of being on probation. It is must for the students to remove his/her probation in the following semester. If he/she fails in doing so he/she shall be dismissed from the program. Any students who fail to remove his probation after two successive semesters shall be dismissed from the program. If he/she withdraws from all courses in the first semester of study If he/she fails in all the three courses of the semester. If he/she exceeds the maximum number of semesters set in these regulations or exceeds the period of postponement stated in these regulations. If he/she fails, his thesis defense. If a student is absent from the final examination or any other semester work for a compelling reason or submits a medical report acceptable to the Dean in accordance with university regulations, a grade of “Incomplete” shall be recorded for the student on a special form prepared by the Committee. The student must complete this grade before the start of the following semester at the latest. Otherwise, the Admissions and Registration Office will change the ‘I” grade to ‘F” grade at the end of the period automatically. The program tuition fee is RO 150 per credit hour. Total Fee; 150 RO x 30 credit hours = RO 4500 for thesis and non-thesis. Based on RO 150 per one credit hour. This fee is subject to change per the University decision from time to time. Satisfactorily complete 30 credit hours with a cumulative grade point average of no less than 2.5 (75%). The passing grade point in a graduate course is 2 (70%). Pass a comprehensive examination that includes a performance component and defend successfully the Thesis in front of a panel of experts. M.Sc. program to be completed within two years of fulltime enrolment. An extension of up to one semester may be approved by the Department Committee. Note: The maximum period of registration is counted from the date of first registration, excluding any postponements granted throughout this period. Defense of the Master Thesis. Expected capacity of student’s intake in the program: 30 students per year, while considering student’s intake for two semesters a year which are Fall and Spring. The convener of the Graduate Program Committee shall appoint an Academic Advisor from among the college faculty for each student enrolled for the program. The Academic Advisor shall prepare, jointly with the student, a study schedule or plan on a special form which will include compulsory, elective and prerequisite courses in accordance with the Program Study Plan and the student’s admission conditions. This Plan will be reviewed every semester in order to follow up on the student’s progress. The faculty advisor roles and responsibilities are as per the Advising Policy of DU. The final thesis will be determined by the student in consultation with the faculty advisor. The students should make literature study, basic theories, and experiments for planning a research. Student will conduct a detailed practical research work based on initially conducted literature survey and prepared research plan. The thesis work should be presented in the form of (a comprehensive report that follows international standards in reporting scientific research). Students will follow the Plan of Study that is described below under the supervision of their Academic Advisor. This set consists of the following 3 courses encompassing 9 credit hours: Student can select 3 courses from these. Click on the following link to download Study Plan….